The Confession of Jack Straw is both a political novel and a literary novel of great style and humanity. 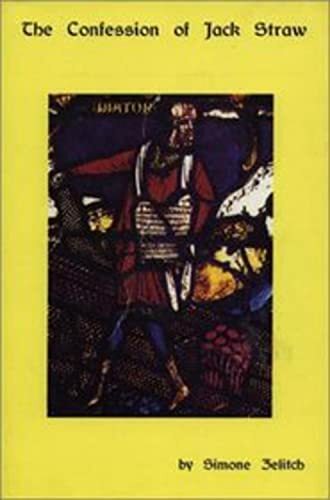 Taking the form of a confession of one of the leaders of the English Peasant Revolt of 1381, the novel accompanies the peasants as they travel through southern Englan, gathering followers, opening prisons, killing lawyers and telling stories. Simone Zelitch's first novel, it marks her as a writer already of the first rank. Simone Zelitch was born and raised in Philadelphia. She received her MFA from the University of Michigan. In the early 1990's she was on the first Peace Corps contingent to Hungary. She has traveled extensively in England, Central Europe, and Israel to research her novels. She teaches creative writing at college level in Philadelphia.